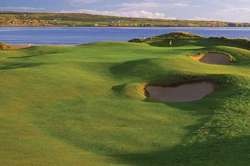 Ireland boasts some of the finest links courses in the world. 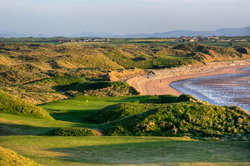 Many of these courses are located in the southwest. 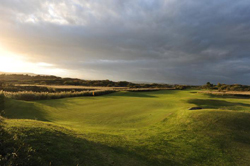 Here you will play some of the most testing courses. 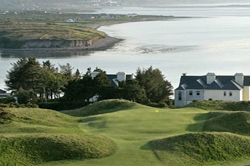 Play some of the finest Links courses on Ireland’s West Coast with this seven day tour of the North West. From towering cliffs and rugged coastline this region is stunning. 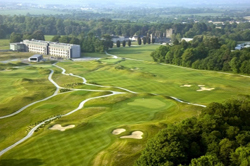 The itinerary focuses on Dublin, his city is well known world wide for its entertainment not to mention the abundance of golf courses within a few miles drive. The Shannon Region, in the mid-west of Ireland, is a special place, where you can refresh your spirit away from the frenetic and crowded cities of the world. 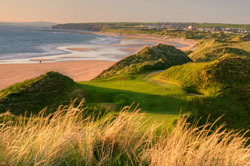 This Golfers Dream tour comprises of ten games of golf on some of Ireland's greatest golf courses many of which have hosted major championships.